After the success of the first Red Letter Days bloggers’ event in February at Cake Boy, we couldn’t wait to create another. This time we elected to up the adrenaline and swap icing sugar for gravity-defying stunts. 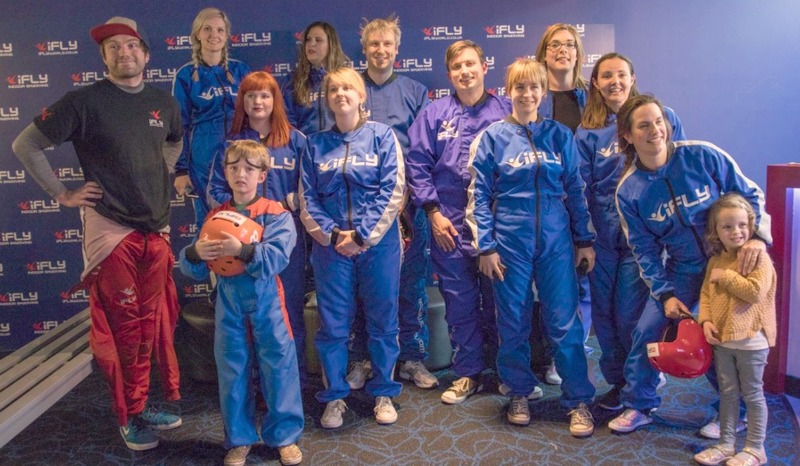 We chose iFly in Milton Keynes, where a specially selected gang of bloggers and their guests made their indoor skydiving debuts. 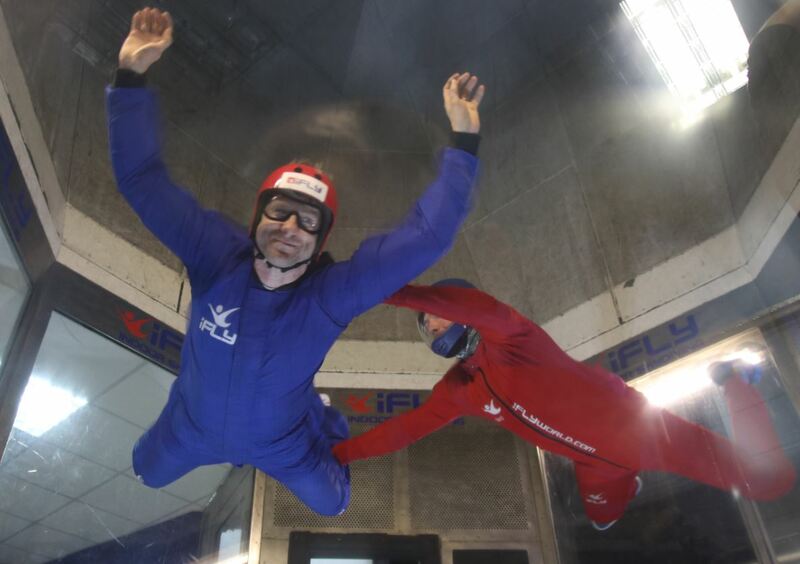 One of our most popular gift ideas, the Indoor Skydiving Experience throws brave participants into a wind tunnel to ride on a rip-roaring 120mph torrent. Under the constant guidance of an instructor, flyers learn to position themselves just right to stay afloat. With a little practice, they can pick up the techniques needed to change height, direction and position too. Indoor skydiving offers a unique way to prepare for a skydive from a plane, but it’s also a distinct and stand-alone sport that’s performed competitively all over the world. For anybody who’s ever wanted to soar like a superhero outside the realm of dreams (and who hasn’t? ), this is one of those try-before-you-die feats. If the wind tunnel doesn’t capture your fancy, we have almost 200 other Flying Experiences to offer, including hot air balloon rides, flight simulators and helicopter tours. Take the weight off and leave the ground behind for a while. And his best piece of advice? 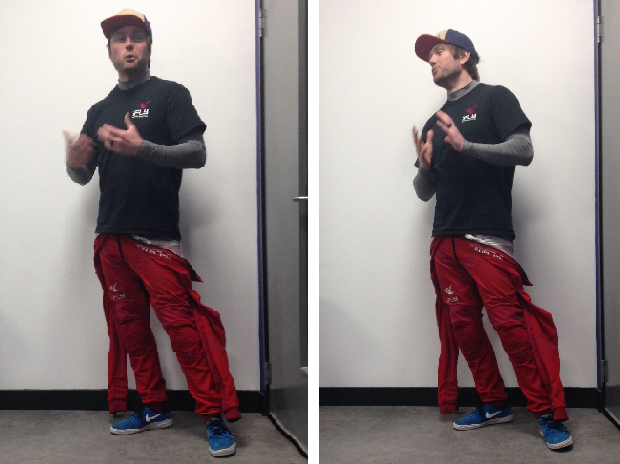 The all-important briefing always precedes the fly, and for us it was led by instructor and national indoor skydiving champion Ted. After showing us a brief video to give us a taster of what was in store, he explained the position that should be adopted for flying success. There was also some sign language to learn: a few simple hand gestures to look out for once in the tunnel, when the roar of the wind and the obstruction of the helmets make hearing the instructor’s voice impossible. We learned signs for ‘straighten your legs’, ‘bend your legs’, ‘relax’ and more. Feeling a little more prepared, it was time to get kitted out. Next step: to the gear up area for jumpsuits and helmets. Somehow, this lot really managed to work their outfits. The band of blue-and-red-suited flyers took their seats upstairs on the waiting bench. Wind tunnel turned on, instructor Ted called each one in for a 1-to-1 flight session as the rest of us watched. It was the moment of truth – eek! 7-year old Sebastian, son of Lauren, went first, showing the others how it should be done. He took to the air like Peter Pan, looking calmly focused all the while. When it was Mel’s turn, her little girl ‘Jumpy’ looked on in awe from the other side of the glass. It’s surprising how many of the flyers seemed to take to the sport naturally. Every single person managed to smile, obey the instructor’s commands and look effortless (like Rebecca below). Many of the bloggers had a second stint in the wind tunnel to try the ‘high fly’. For this, the wind speed was cranked up to still greater strength, Ted the instructor would hold on to the flyer and together they would spin towards the top of the wind tunnel like leaves in a tornado. Truly a spectacle to watch. Nick (below) and Vicki only found out they were flying at the last minute, so extra kudos to them for stepping up to the challenge. Then Ted, being the champion he is, showed us some spectacular tricks. He went into full acrobatic mode, flying upside down, speeding to the top of the tunnel and slamming theatrically into the glass to make everybody jump. This is the sort of skill that takes a serious investment of time and training to master. It looks like, perhaps, the best job in the world. Check out our hashtag #RLDTasters to see some of the Twitter activity surrounding our iFly event. Kids don’t sugarcoat the truth, so we were delighted to hear that Sebastian asked Lauren (MummyisaGadgetGeek), “When can I come again Mum?” Kip came to the event with the experience of a real plane skydive in his arsenal, so it was a handy fact to know that he found it easier to breathe in the wind tunnel than while falling through the sky. Take a look at all our photos of the evening. Not suitable for those who are pregnant, have heart, back or neck problems or have ever dislocated a shoulder. Dress code: tight-fitting laced trainers, comfortable clothing (no collared shirts). Jumpsuit and helmet are provided on the day. Please remove any jewellery. Did you hear about Our First Blogger Ambassador Event with Cake Boy? Read all about the cake decorating and afternoon tea hosted by Eric Lanlard at his stylish boutique patisserie. So glad to hear it! We were blown away (ha) by the way you all took to flying. Thanks for coming; it was lovely meeting you. Thanks again for organising such a memorable event: I want to do it all again with my children! It was an absolute pleasure meeting you. Let us know if you go back with the kids! We'd love to see how they get on.